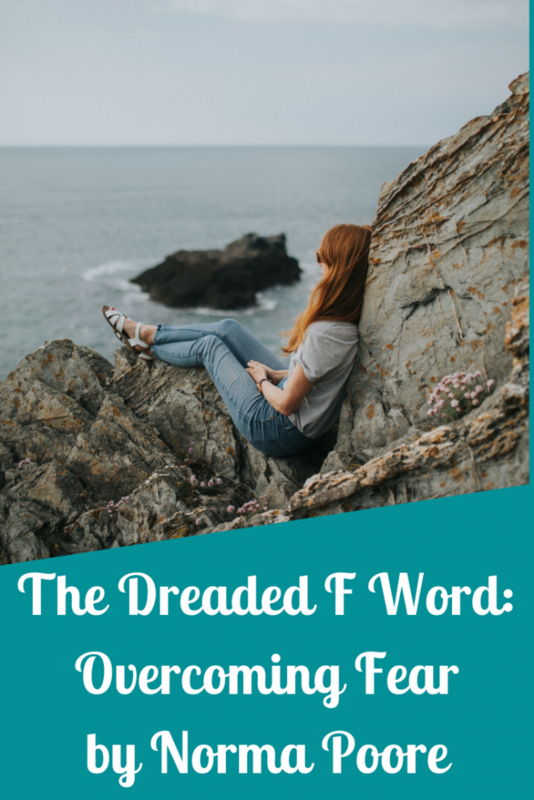 The dreaded F word, FEAR. Plagued by fear of not being good enough, I have struggled with this issue due to abuse in my early childhood and young adulthood, leaving me to feel like not even God could use me. In reality, this fear manipulated me into believing Satan’s words instead of God’s. I struggled to believe God really loved me. Yes, He sent His son for me, but love me, this damaged, rejected, failure? Along with this fear is the fear of failure. What if I misunderstood God? What if I make a donkey’s behind of myself? “What if” is more about people pleasing than failure, I believed if I did everything right, then I would be loved by someone. I believed the enemy’s lies and not lived the abundant life God has for me. I find it interesting approximately 365 verses talk about not fearing. Hmm. One for each day of the year, yet my struggle continues. God gave me a verse two years ago and. I have overcome some of my fear because of God’s gracious reminder to trust Him. Fear began in the Garden of Eden. Eden, Adam, and Eve were perfect. One day, Satan walked into the Garden and asked Eve questions designed to create doubt and fear in her heart. She doubted God’s word was trustworthy and feared God was holding out on her. Fear is one of the greatest weapons the enemy of uses to keep me from experiencing God’s best for me including being the writer He wants me to be. This past year, I have learned much about spiritual warfare and how to defend against the enemy by praying God’s word, acknowledging the lie of the devil, and speaking truth in its place. Sadly, his defeat isn’t complete until Jesus casts him into the lake of fire. In the meantime, God gives us tools to defeat the enemy when he rears his ugly, lying, deceitful head. The assurances of God’s love, Christ’s own words, and understanding I am His beloved bride. Satan came to Jesus three times in the wilderness and Jesus quoted scripture to him and told him, “Be gone”. This is the pattern we are to use against the enemy’s attacks. These two steps should be followed with prayer and praising God for the power He gives to deflect and defeat the father of lies. Occasionally we may need a time of prayer and fasting to break the enemy’s stronghold. I had to learn who I am in Christ. Being Christian for over thirty-five years, I never questioned my salvation, but it has taken me a long time to understand fully—as possible with this finite brain trying to understand the infinite God—how God sees me. He loves me and lavishes His grace on me and sees me complete in Christ. I am seated with Christ in heavenly places (Ephesians 2:6) with all things under my feet because I am in Christ and all things are under His feet and subject to Him. I’m created in Christ Jesus for good works which God has prepared beforehand I should walk in them, Ephesians 2:10. As I allowed His words to grab my heart, resonate in my mind, and renew my soul, I’ve changed. I can now walk in the path God has before me and know I am exactly where He wants me to be. I am in the center of His will. Here, no fear exists because perfect love casts out all fear. When fear tries to assault me, with total confidence, I say these verses aloud to my enemy. This is followed up with praise to my Savior; then fear and doubt disappear. With this renewed assurance of who I am, whose I am, and how the Father sees me, I am confidently moving forward with my writing. 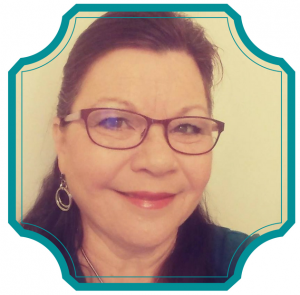 This confidence spurred me on to sign up for my first writers’ conference, the Blue Ridge Mountains Christian Writers Conference in North Carolina. I was excited beyond words. Nervous as a cat on a hot tin roof. Yet, wanted God to show me great and mighty things I do not know (Jeremiah 33:3), which He did. I heard this conference changes writers’ lives. So, I expected my cup filled to overflowing, which it was. I also joined a local critique group comprised of published authors and beginners, alike. I would be remiss to not only praise God for bringing me out of fear, but also for giving me a group of ladies who blesses me beyond measure. These gals are so precious. They will never fully understand the depths to which they touch my life whether regarding my writing or with an urgent matter needing prayer. Calling ourselves Faith Writers, we met a little over a year ago on Jerry Jenkins’ Writers Guild. God has knit our hearts together remarkably. Although we are scattered around the world—China, Czech Republic, Canada, and all over the U.S.– an unexplainable connection exists. If God had not placed them before me, I don’t believe I’d be following my dream of writing now. Thinking of them brings tears of joy and thankfulness. Thank you Faith Writers for believing in me and spurring me on! If that ugly F word pops up, what will I do? I will get on my knees and cry out to the One who loves me and allow His words to penetrate my heart and melt fear away. Finally, I will praise God for the victory. Thanks to the heart work the Lord has done in my life regarding fear, I changed my site’s theme to “Faith, Family, and Friends”. These three words encourage my heart, and I trust God to use my blog to encourage yours. 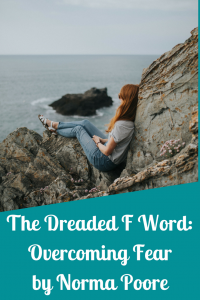 In the comments below, let me know how God has helped you to overcome the dreaded F word, and how I may pray for you. I dedicate this post to Him who can do exceedingly, abundantly above all I can even imagine! May my writing glorify You, Lord. Want to Read More Stories of Moving Beyond Fear into Faith in Christ? I am so glad God used this post to encourage you. Fear is can be brought under control with God’s help. Faith is a wonderful replacement for fear. I hadn’t thought about a devotional, on this topic, but I will most definitely make it a prayer priority. Thank you for your encouragement. Thanks for sharing your battle with fear! Definitely removes aloneness to know I am not alone in my fight against the enemy. Karen thank you for your sweet reply. I am glad Gud used this post to encourage you. Thank you for visiting Faith Beyond Fear. Have a blessed week. Norma, this is beautiful. The work God’s done, that He’s currently doing, and the way you’ve expressed it. I so love how you replace the dreaded “F” word with 3 good ones: “Faith, Family, & Friends.” 🙂 Keep writing!! Pearl, my precious friend, your words mean so much and bless me abundantly. 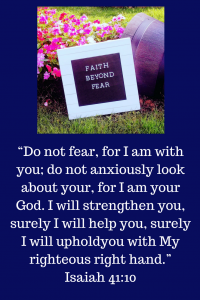 Thank your for visiting Faith Beyond Fear. Thank you for your help, encouragement, and prayers in my writing adventure. Love you Precious Pearl. I really like your comment “replace the dreaded “F” word with three good ones: “Faith, Family, & Friends”. That just now hit me. Super cool! Isaiah 41:10 is powerful. Thank you for sharing victory in your walk with Christ. God has used this verse in my life many times over the past year. Thank you for visiting Faith Beyond Fear. Have a blessed day. Thanks so much for the encouraging words! My experience with fear is rooted in insecurity. I fear looking stupid and getting a “reputation” as a nut. The Lord has challenged me to practice not being afraid in little things so the big things are less daunting. Thanks again for sharing. Chip, the idea God gave you of practicing not being afraid in the little things is a great idea for those of us who struggle in this are. Thank you for stopping by Faith Beyond Fear. I’m glad you were encouraged by my post. Have a blessed day.